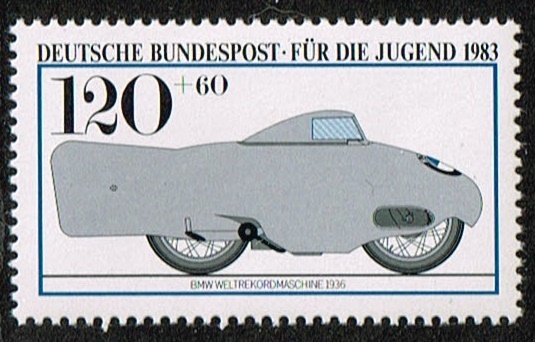 1983 German semi postal stamps Motorcycles. scott number B605. 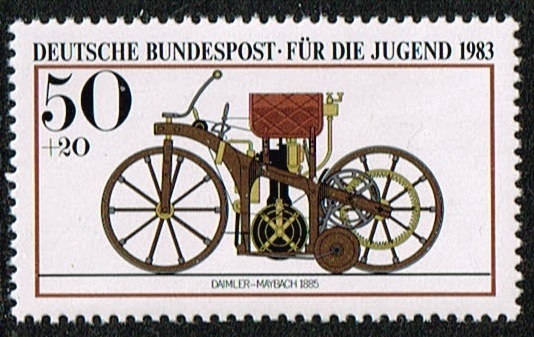 Daimler Maybach 1885. 50pf + 20pf. 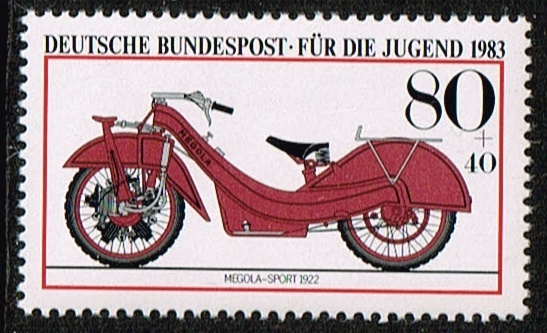 1983 German semi postal stamps Motorcycles. scott number B606. NSU. 1901. 60pf + 30pf. 1983 German semi postal stamps Motorcycles. scott number B607. Megola Sport , 1922. 80pf + 40pf. 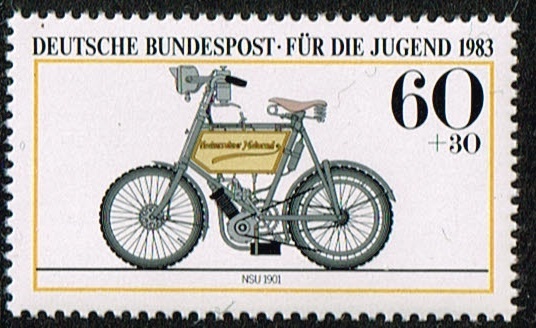 1983 German semi postal stamps Motorcycles. scott number B608. BMW. 1936. 120pf + 60pf. 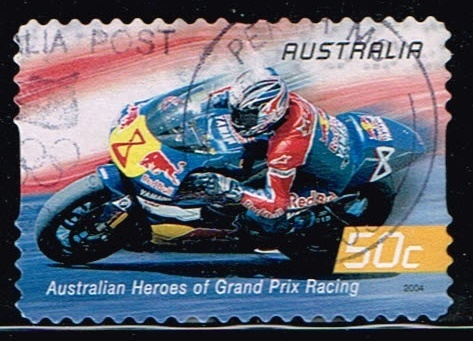 2004 Australia stamp Grand Prix Motorcycle Racing. scott number 2314 Self adhesive serpentine die cut 11 1/4 syncopated. Garry McCoy on bike. The TT races of the Isle of Man are probably among the most famous motorcycle races in the world. They date back to 1907. The 1977 stamp shows one of the early winners, Frank A Applebee, in the race of 1912.